Heavy-duty galvanized steel is powder coated for years of trouble-free service. Receptacles have removable leakproof rigid plastic liners. Decorative gray stone panels over heavy-duty powder coated galvanized steel. 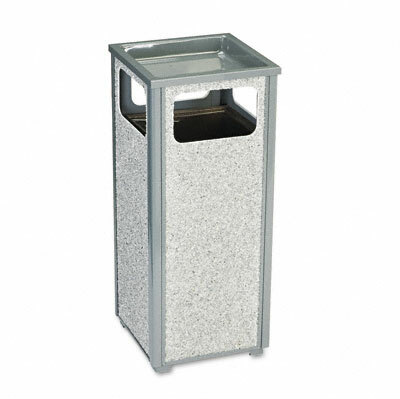 Durable, fire-safe and vandal-resistant Heavy-duty galvanized steel is powder coated for years of trouble-free service Receptacles have removable leakproof rigid plastic liners Made in U.S.A. Decorative gray stone panels over heavy-duty powder coated galvanized steel.